Not only are these cotton bags cute, they are also very practical. I order them in bulk when our company set up stall at a trade show in London to give away merchandise and we were extremely satisfied with the overall quality and practicality of the product. We would certainly consider purchasing this product again for our next promotional campaigns. 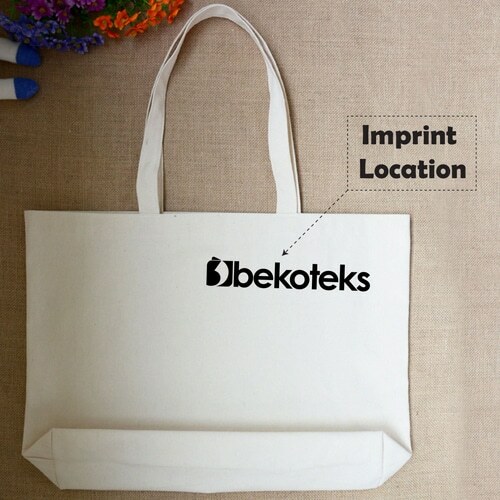 A quality promotional item, such as Canvas Cotton Fold-able Shopping Bag , which has cotton fabric shopping bags, tote reusable grocery bags, no zipper open type bags, two soft straps to handle the bag, comfortable and easy to carry and can be used for storing items to carry, makes an excellent billboard to communicate your company’s message and can be carried by the prospects and clients.